Cryptocurrency wallets are software programs that store the private and public keys that allow you to interface between your crypto assets and the different blockchains. The wallet enables you to store or send and receive digital currency from your private account. Having a wallet of one type of another is essential for every Bitcoin or other cryptocurrency user. While most of the popular coins have an official wallet or officially recommend some third-party services, for many users, those may not be the best option. It is important to understand the value of different wallet types and their features to make the right choice for you. The fine lines between security and risk, convenience and inconvenience reside very much in choosing a wallet that will suit your needs. Usually, the easiest to use, these wallets require that you download an App to your phone in order to begin. Some suggest that mobile wallets are more secure than the average desktop or online App because a phone is more difficult to hack since the App’s are more isolated. This is also something you can both control and carry with you wherever you go. you don’t need to take responsibility for them. 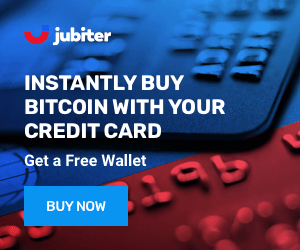 As a result, you are completely reliant on the viability and security practices of the wallet provider, so choose wisely. These wallets are only accessible from the single device (PC or laptop) on which they are downloaded and installed. Desktop wallets are usually more complicated to install and manage because all security is completely controlled by the user. For this reason, they are a popular choice for developers and industry insiders. For those who aren’t comfortable or just don’t like digital software controlling their funds, there is an option to print your public and private keys. You will still need to use a software program to access the Blockchain but this allows you to print out your ‘funds’ and store them in an old fashion safe. They provide a high-security level as long as the paper is securely stored. For users interested in a high level of security and reasonable ease of use hardware wallets provide the perfect solution. They allow users to control their own private keys on a small digital device. The software related to these devices is relatively easy to use. It’s significant to note that the more features a wallet has, the more complicated it is to use. If you are an experienced trader, you’ll need a complex wallet. However, if you are new in the crypto world, you’ll be much better off with a wallet that only provides basic functionalities. Some wallets also provide exchange functions, which is a great feature. Different wallets support a different combination of fiat and cryptocurrencies, languages, and functionality. It is important before you start to look a little forward and think about what currencies and cryptocurrencies you intend to use; what your needs will be, and what language you will be most comfortable in. Be aware that a ‘Bitcoin’ wallet cannot receive Ethereum coins, it can’t even accept BitcoinCash. Be careful not to send cryptocurrencies to the wrong type of wallet you risk losing your funds! Blinded by functional features and because security often means slower or more complicated transactions, many users tend to overlook the importance of having a strongly secured wallet. 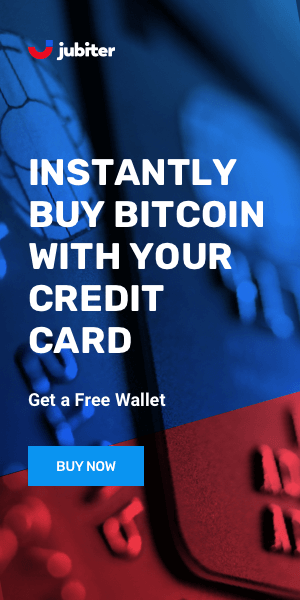 Nevertheless, if you intend to store or trade large amounts, it is extremely important to pay attention to the security features provided by a wallet. On the other hand, if you only need to store and quickly trade smaller amounts, you can take your chances with a less-secure wallet. 2FA (or TFA) is a 2-step process for logging into your account. It adds an extra layer of security that reduces the risk of fraudulent access to your account. Multi-signature functionality allows a user to require that more than one user (set of keys) is needed to authorize a transaction before it is approved. It’s usually set up as a 2 out of 3 scenario where there are 3 sets of keys, and 2 out of 3 are required to complete a transaction. In this case, private keys can be stored in 3 different places and if 1 out of 3 is compromised the other 2 can manage the account. When private keys are stored offline on a device or computer that is not connected to the internet this is called ‘cold storage’. This protects against the very real possibility that the computer where keys are stored could be hacked. In the interest of quick and easy transactions, most wallets use what is known as ‘hot storage’. This means that your private keys are stored on a computer or device that is connected to the internet and vulnerable to being hacked. Traditionally we put our money in banks and trust that they will securely manage our funds. The reason this is safe is that most bank deposits are insured and backed by governments. If the bank loses your money the government will step in. This is not the case with Cryptocurrencies. Wallet platforms are largely unregulated internet companies, located in countries all over the world, and often out of reach of domestic law enforcement agencies. There are companies that have been around for a long time and proven their reliability, but users should always be wary of allowing any entity control their private keys. Different platforms call this by different names. You may see it called a ‘root key’, ‘word seed’, or on of many other similar names. The important thing is that you get one and store it securely. This is your emergency plan. Any number of things could happen, you could forget your password, lose your phone, lose access to your email account, lose your hardware device, or worst-case scenario, the wallet platform you are using could suddenly shut down their site and disappear. Your recovery phrase is your ticket back into your wallet. Without it, any disaster could result in a complete loss of your funds. Some wallets are designed for experienced users with a technical background (“Developed” and “Complex”), while others are best suited for beginners (“Very basic” and “Intuitive”). It’s important to choose a wallet that suits your knowledge set. Unfortunately, help is rarely a phone call away in this industry. Make sure you find out who backs up this wallet and how you can get help.